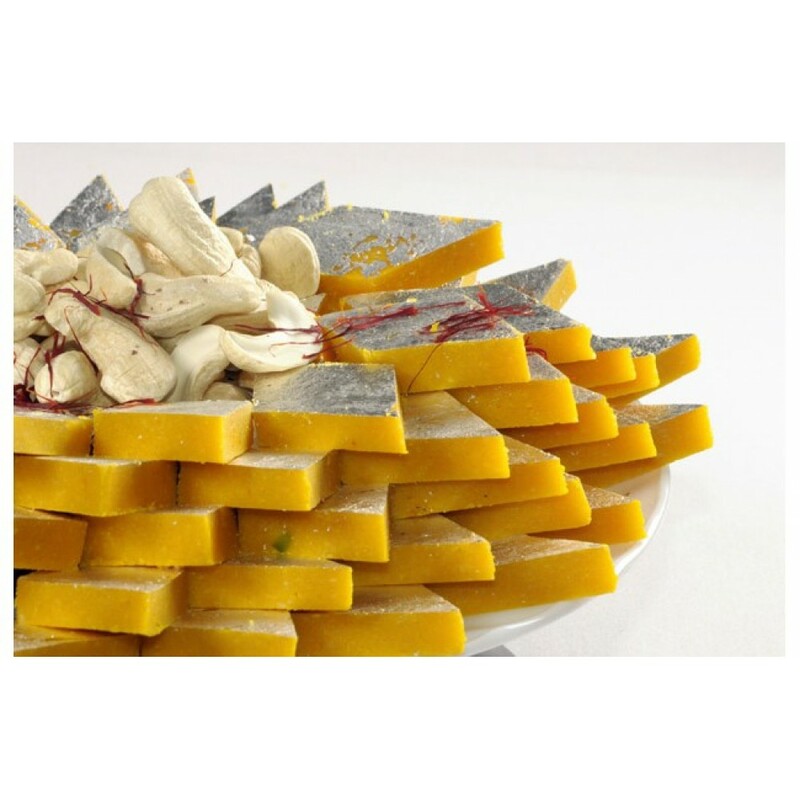 Barfi is a popular Indian dessert made from condensed milk and cooked with sugar. 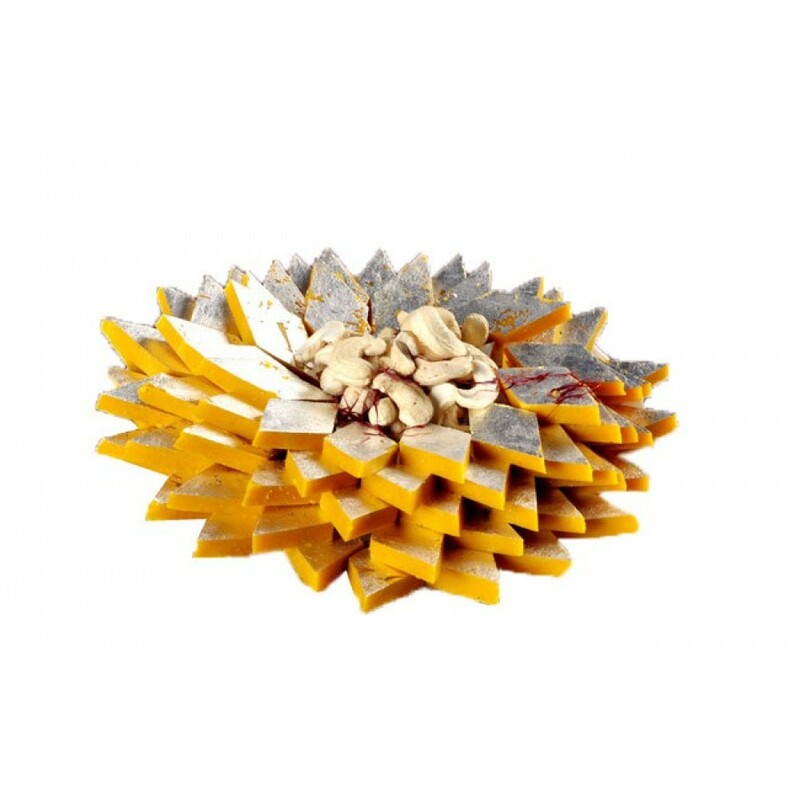 It is often flavored with fruit or nuts (dry fruits) and mild spices. 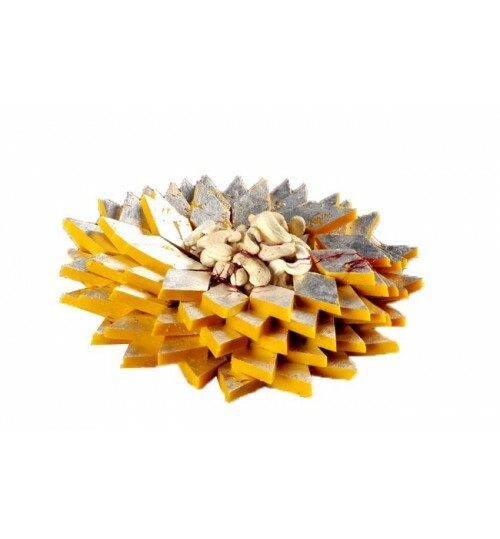 The Kaju barfi that includes saffron (kesar) is called Kesar Kaju Katri. 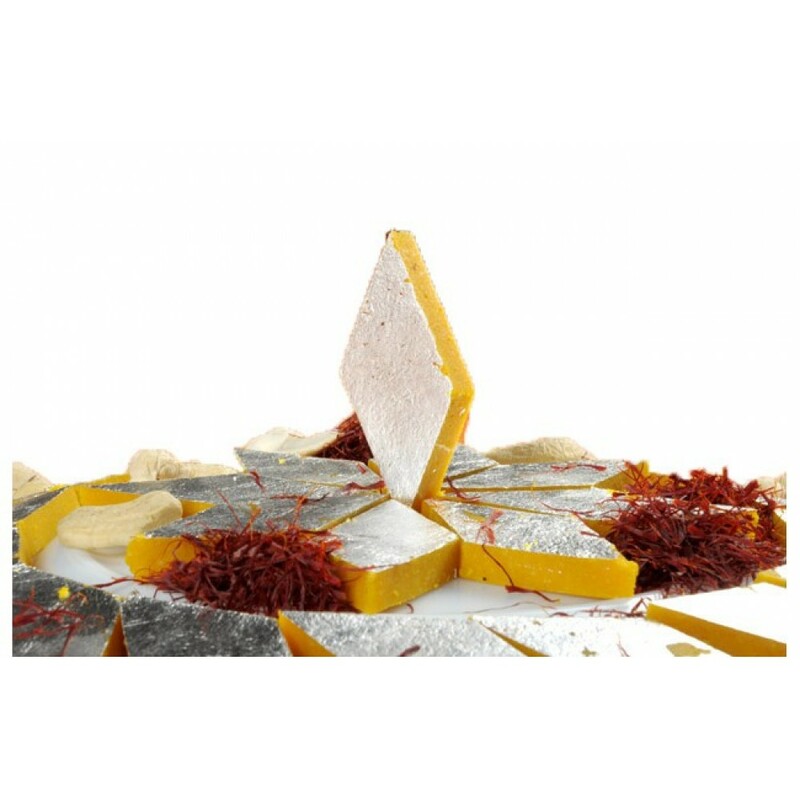 It is an exotic version of the traditional Kaju Katri because of the presence of kesar, which is one of the most expensive spices in the world. Saffron lends a beautiful golden color and adds an aromatic flavor to many a food preparations. Milk, Sugar, Cashew Nuts, Saffron, Ghee.